Martin Kaplan is an Investment Director with Anacacia Capital. Martin is responsible for a range of activities including assessing investment opportunities as well as supporting and serving on boards of investee companies. Martin is a Non-Executive Director of Anacacia portfolio company Big River Industries, a leading manufacturer and distributor of timber and building products in Australia. 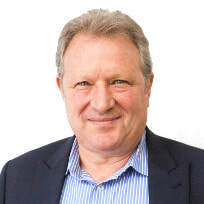 Martin is a former Non-Executive Director of: K Care Healthcare Equipment, a leading supplier of branded aged care and rehabilitation products; NW Group, a leading professional audio services firm; and an alternate NED of Muir Engineering, a leading marine engineering business. Martin brings over 30 years of international business experience. Prior to joining Anacacia, Martin led the private business corporate advisory team within Deloitte, focusing on SME’s facing a transitional event involving succession, growth or divestment options. Previously, Martin worked with Investec in London providing transitional event funding for entrepreneurs and privately held corporations. Martin also led a private equity and corporate advisory company whilst in South Africa. Martin spent his early career as a Partner of Arthur Andersen heading up their business consulting practice that included working with mid-market SMEs. Martin has a Bachelor of Commerce degree from the University of Cape Town and is a Chartered Accountant (South Africa & Canada).